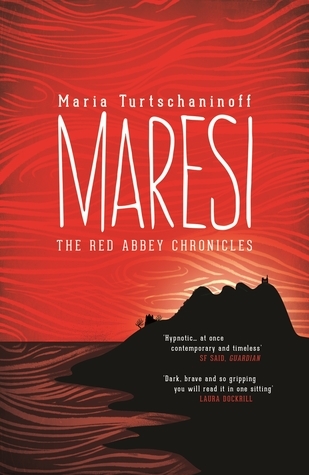 I am currently reading Maresi by Maria Turtschaninoff. My name is Maresi Enresdaughter and I write this in the nineteenth year of the reign of our thirty-second Mother. 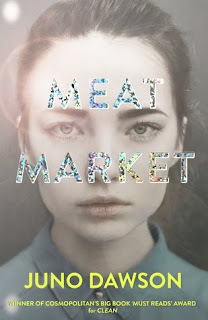 First, can we talk about the cover? I keep staring at it. I love how it's an island in the sea and a face with flowing hair all at ones. I love the colours and the swirls and the spot-laminate. I love the font. It's just an all-round triumph of a cover and instantly made me want to pick this up. The first lines hint at the fantasy setting, the different world. They don't give much away. It reminds me a little of the first lines of I Capture the Castle (my favourite book ever) and that brought a smile to my face as I read them. I am actually almost finished this book. I'll probably finish it in an hour or so. And I'm not sure why I didn't pick it up sooner. Because it is bloody amazing. Fabulous and creative cover. I love it! That line! Oh it makes me so curious as to what the book is going to be about. Plus, as you mentioned, that cover is so mystifying. It's a face and an island and I LOVE it when they do things like that, plus the colors are pretty :) I love your blog! Hope you have an amazing day!